Trouble between Tenet Healthcare Corp. and Glenview Capital Management started when the hedge fund's influential CEO, Larry Robbins, asked for two newly created board seats at Tenet in January 2016 after the investor took a nearly 18% position in the hospital chain. Back then, Glenview was already proving itself to be a powerful force in the industry, having bought large stakes in Franklin, Tenn.-based Community Health Systems and Nashville-based HCA. And it had just played a big role in Health Management Associates' sale to CHS. Recognizing that, Tenet obliged. With the seats came a truce of sorts, in which Glenview agreed not to shake up the company's leadership or finances. In November, when Glenview asked for two more seats, Tenet again acquiesced. In exchange, Glenview agreed not to raise its stake in the company beyond 25% or join a bid to oust leadership or force a sale. The calm didn't last long. Two of Glenview's members resigned in August 2017, a loud signal of their frustration over the lack of results coming from then-CEO Trevor Fetter's turnaround plan for the company, which posted an operating loss of $56 million in the second quarter of 2017 driven by a 1.4% admissions decline. Robbins said his board members' "fresh perspectives" were met with "general apathy" from their fellow directors in a Feb. 2 letter to Glenview shareholders. He said their resignations followed the board's failure to adopt recommendations on cost reductions, financial planning and review of the company's structure as well as dumping Fetter, who ultimately stepped down shortly after the Glenview directors resigned. Fast-forward to today, and the two are again tussling over the format in which shareholders can make decisions. Robbins is calling for a vote on Glenview's written consent proposal at Tenet's next annual shareholder meeting, scheduled for May. He wrote in his letter that the extra scrutiny is necessary given Tenet's disappointing operational and financial performance. "Just as a person in worsening health may need more frequent medical attention than a checkup once every 12-18 months, a chronically unhealthy company is likely to return to health quicker and with more certainty if its owners are allowed more frequent Board oversight," Robbins wrote, "and this is effectively accomplished through the ability to take Action by Written Consent." Robbins noted the written consent change would let shareholders act to remove and elect directors to Tenet's board. He wrote that Glenview plans to vote to re-elect only eight of the 12 current board members, not including retired Allina Hospitals and Clinics CEO Richard Pettingill, retired Deloitte Touche Tohmatsu CEO Edward Kangas, retired Diners Club North America CEO Brenda Gaines and retired Pitney Bowes Business Services CEO Karen Garrison. Although it has captured the most headlines in recent years, Tenet isn't the only hospital chain feeling the heat. The Singapore-based firm Shanda Group has steadily increased its stake in Franklin, Tenn.-based Community Health Systems over the years, reaching 24% last month, even as the system's CEO announced CHS would sell more hospitals to lower its debt. Although leaders with the group haven't requested particular changes in the company, their filings with the Securities and Exchange Commission leave open the potential for future activism. CHS shareholders in 2016 approved proxy access, making it easier for long-time shareholders to nominate alternative board candidates, despite a recommendation from the system's board against doing so. In early 2016, Glenview Capital Management sold all 11.59 million of its CHS shares amid falling stock prices. Last year, ASL Strategic Value Fund Managing Director Steven Braverman called for the ouster of CHS CEO Wayne Smith. Braverman wrote in an open letter that CHS officials had not returned his phone calls. ASL was not among CHS' top 20 investors at the time. 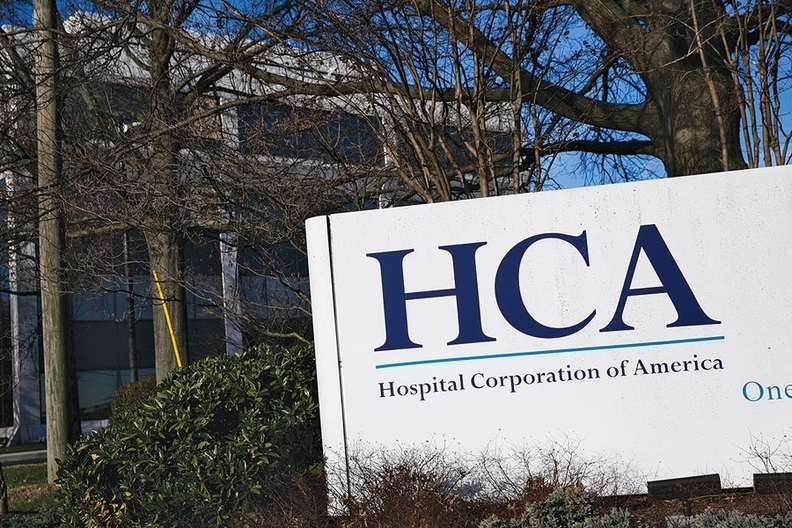 HCA Healthcare, the country's largest investor-owned hospital chain, agreed to a number of governance reforms in 2015 as it settled a class-action lawsuit brought by shareholders. Investors accused the hospital chain of concealing important information about declining Medicaid revenue that eventually contributed to a drop in its stock price. In a related lawsuit that same year, shareholders sued individual HCA directors to hold them responsible for the losses. The 2015 settlement requires HCA's board to vet and answer all properly filed shareholder proposals. It also limits HCA directors to one committee chair assignment and prohibits them from serving on more than five public corporate boards beyond HCA.